Which website owner doesn’t like traffic on his website? And I believe you would be no different. I mean who doesn’t want to see a Google Analytics graph like below for his website. Does all visitors bring you business? How many of them gets converted to give you business? I guess the answer to the second question would be very less. That means conversion ration of your website visitors is very less and people are moving out of your website without subscribing/buying your product. And it’s nothing new, and you don’t have to worry, we can work it out. How? Let’s take the example of bounce rate of a website. The percentage of visitors to your website who leaves your website after viewing landing page within few seconds and without performing any further action. You apply various methods to decrease bounce rate of your website e.g. optimizing lading pages, placing internal links etc. But this is a topic for some other day. Also, you can check out our article on why people are leaving your website. E-commerce is taking over the world yet brick-and-mortar refuses to fade away. You know why? Due to lack of touch and feel of the product which we can get in a store. The recommendations or the sales pitch which we do not listen online is one of the things we miss. Let’s be honest we cannot pop out from the screen and handover the product to customer, however there’s an alternate. Product images are essential- make them high-resolution, large, allow your customer to zoom. Also product videos are doing a great job in increasing your conversion rate. Show your product from every side and corner; don’t forget to showcase its best features. During the video, be present, face the customer, talk him through your product. People believe more on human faces than voices. 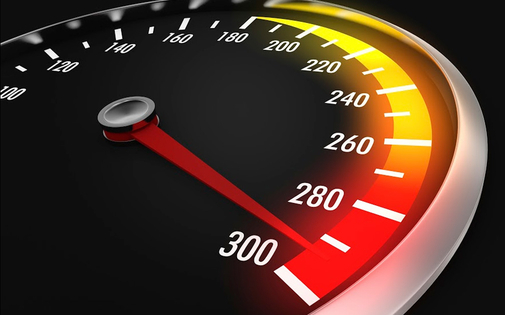 Pagespeed or load time of your website has a huge impact on your website conversions. Even a delay of a second or two can decrease the website conversion rate to half. Use light images and more text to make your page light in the browser to load. Monitor it often using PageSpeed Insights tool launched by Google. Why should I do this? We are just taking our 2nd point deep down. Consumers still love brick-and-mortar because they get instant help to their queries. Give them the same feel online. Believe me, people love to get the solution instantly. It is a great tool to convert your website visitors into customers not only because it answers the questions but it allows you as a company/brand to intervene before a less informed customer leaves your shop. A feature which of live chat software is pro active conversation starter. With this your representative will start the conversation to the visitor and offer help. This increases the chances of conversion of those customer who hesitate to start the conversation. Wondering why? Simple, it helps you tack your visitor’s movements. It helps you understand the behavior of your consumer, like what do they click and what do they ignore. Insights which you will get from this exercise will be very important, and will help you increase your conversion rate. Conversion Rate Experts increased their opt-ins by 25.9% using this tool. Any suggestions? Please drop in comments section below! Dear Maxim. Thanks for commenting. You are absolutely right. You should always upload the original image of the product otherwise once purchased, customers will return that if it does not look same of what he/she saw on your website. This will affect the credibility of your brand.